Culture and Critters for under $10: Family Fun & Education in Saginaw! In #MittenTrip, Culture, East Michigan, Guides, Southeast Michigan. At the unassuming intersection of Ezra Rust Drive and Washington Avenue, between Saginaw’s Old Town and Downtown, lies a surprising mash-up. On one corner you have the Japanese Cultural Center, Tea House, and Gardens; on the other, the Saginaw Children’s Zoo at Celebration Square. Both are easy to overlook, hidden behind tall wooden fences and seated in a city that doesn’t necessarily display itself as a hotspot for arts and education. Don’t be fooled, though. Here, you can get a full dose of culture and family-friendly amusement – not to mention a chance for quietude and education – for under ten dollars. Established in 1971, the gardens of the Japanese Cultural Center are a welcome respite from city life. Fenced in to dampen traffic noise and neighboring Lake Linton (an offshoot of the Saginaw River), the towering oak trees, delicate weeping cherries, and rushing stream water promote an instant sense of calm. The Tea House (“Awa Saginaw An”), built on the grounds in 1985 as an effort to unite Saginaw with its sister city of Tokushima, Japan, is revered as one of the most authentic tea houses in North America. 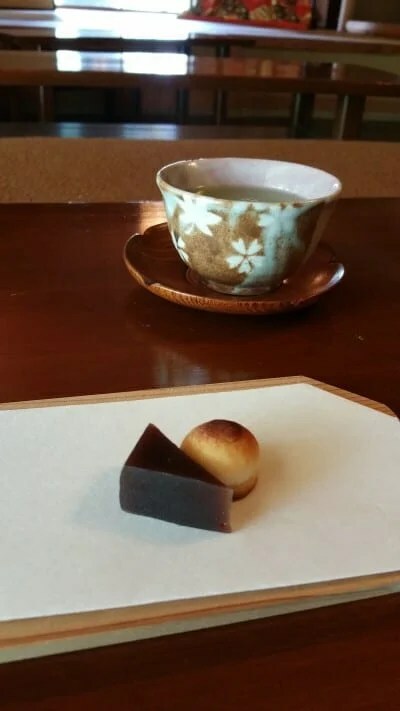 For a mere three dollars, a kind and thoughtful docent will serve guests traditional green tea and Japanese sweets, and then explain the history of the Cultural Center and their traditional tea ceremonies. According to the staff, the center operates according to four primary tenets of Zen Buddhism: harmony, respect, purity, and tranquility. The rustic and natural materials used in the construction of the house and its integration with the surrounding gardens bring the last tenet – tranquility – to the forefront of the experience. Trust me when I say that you will leave calmer than when you entered (and with a beautiful and complimentary piece of traditional origami to boot!). Vermillion bridge over a rolling stream in the gardens of the Japanese Cultural Center. Photo by Cassie Lovall. Across the street, the Saginaw Children’s Zoo offers facilities accredited by the Association of Zoos & Aquariums (AZA), an achievement not to turn your nose up at. AZA accreditation means that an institution meets high standards for animal management and care, quality of staff, involvement in conservation and research, and a whole suite of other variables. In other words, for such a small zoo in an often overlooked city, it’s a big deal! 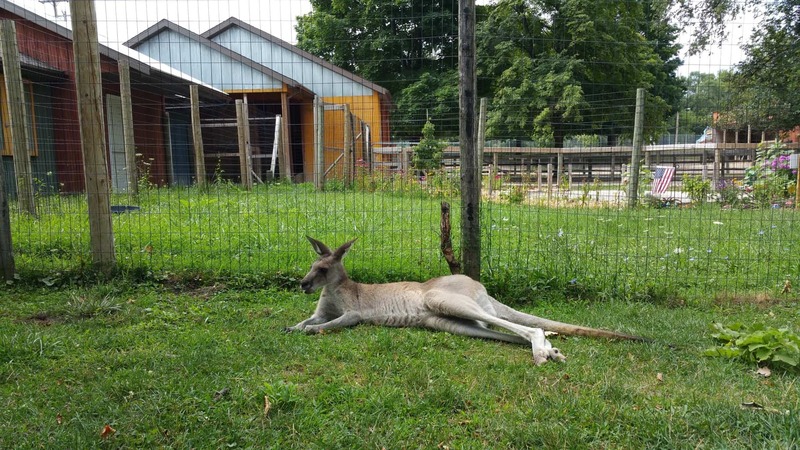 The Saginaw Zoo has a ton of great exhibits, including wolves, penguins, kangaroos, river otters, a butterfly house, and much more. Throughout the entire park, the landscaping consists largely of volunteer- and donor-maintained garden plots, each uniquely personalized (e.g., Michigan State, Saginaw Firehouse, local family artwork) and each almost an exhibit unto themselves. For five dollars a head, patrons can experience much of what they would at larger zoo, but with smaller crowds and a significantly more intimate atmosphere. A grey kangaroo lounges in the Australian Outback exhibit at the Children’s Zoo. Photo by Cassie Lovall. As I pointed out in the Weekend Guide to Saginaw, there is so much more than meets the eye in this city. This collision of culture, amusement, and education is as enjoyable as it is surprising, and if I were you, I’d make a point to stop by. Oh, and did I mention parking is free? Just one more thing to help fuel the “Saginawesome” movement! 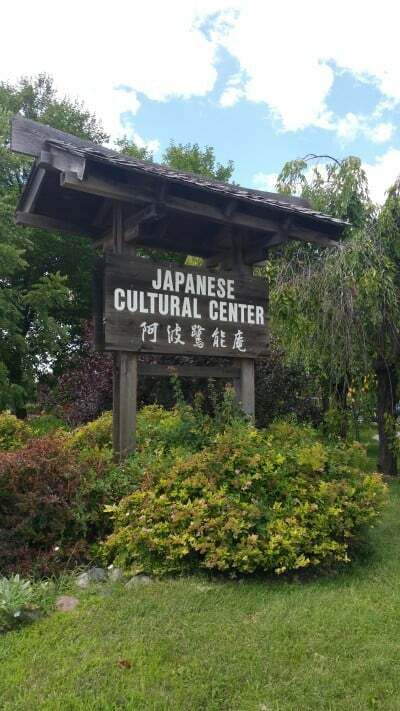 Have you been to the Japanese Cultural Center or the Saginaw Children’s Zoo? Tell us about your trip below! 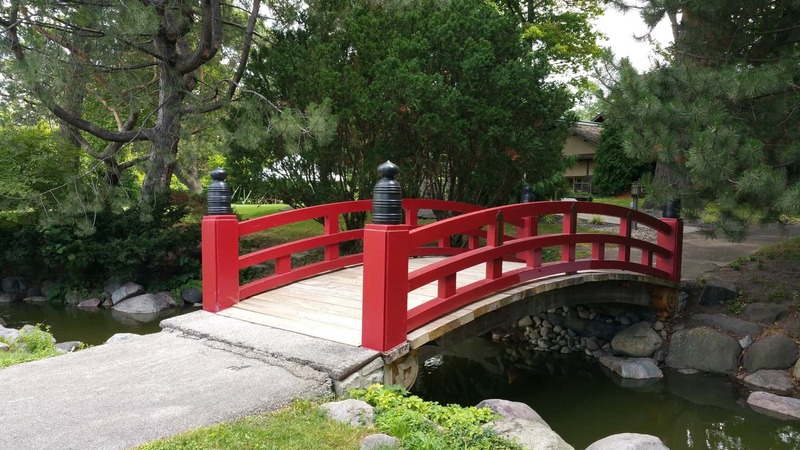 Tagged #MittenLove, Buddhism, Educational Events, family, mittentrip, Saginaw, Tea house, travel, Zen, zoo.